Public opinion about the government is pretty darn bad. The president’s approval rating is at 39%. Congress has an even lower approval rating of just 15%. I think the stomach flu has a higher approval rating than Congress does these days. And after years of listening to Republicans complain about the Democrats’ spendthrift ways and Democrats pretending that the federal debt is no big deal, the roles have reversed. Republicans passed a tax package that will add $1 trillion in debt and suddenly the Democrats care about how much money is being spent. The federal government is a hot mess. So I wasn’t surprised to see that a government-related real estate investment trust (REIT) was having more difficulty than it has had in the past. Government Properties Income Trust (Nasdaq: GOV) owns 108 properties in 30 states (including Washington, D.C.) that are primarily leased to the government. It pays a fat 12.5% yield, which is why it’s so attractive to income investors. 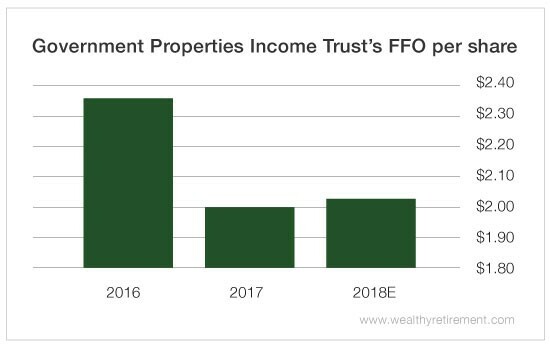 In 2017, Government Properties Income Trust generated $2 per share in funds from operations (FFO), a measure of cash flow used by REITs. It paid out $1.72 per share in dividends. However, last year’s $2 was significantly lower than 2016’s FFO total of $2.35 per share. This year, FFO is forecast to inch higher by only 1% to $2.02 according to Bloomberg analysts. The company has paid a dividend since 2009 with no cuts. The quarterly dividend has been $0.43 per share since October 2012. However, declining FFO is a concern. Even though it currently covers the dividend, should it continue to slide, the dividend could be in jeopardy. SafetyNet Pro penalizes companies with negative cash flow growth. We want to see cash flow increasing to have confidence that the dividend is secure. When cash flow is headed in the wrong direction, it can make dividend safety questionable. That’s the situation we’re currently in with Government Properties Income Trust. It can cover the dividend for now, but unless FFO turns around, it may not be able to in the future. 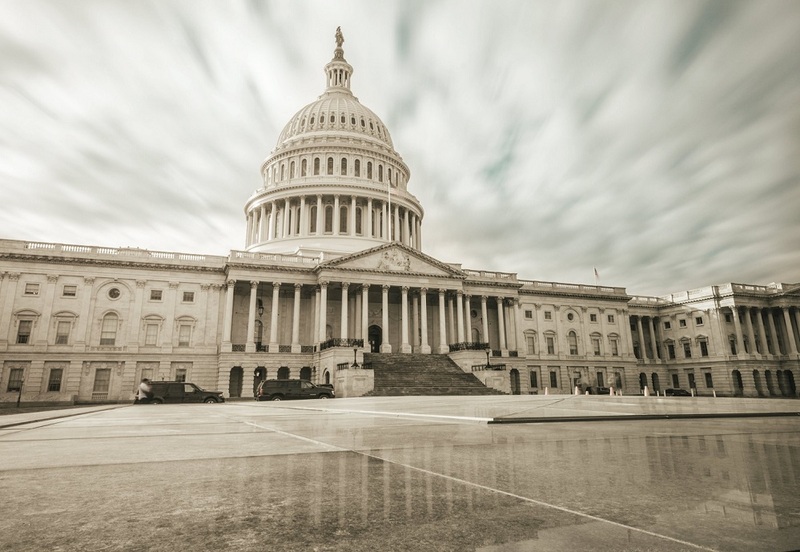 Like our federal government, Government Properties Income Trust is headed the wrong way.